Do you often find yourself crushing over perfect lip makeup on Instagram? Does it make you jealous that you are not blessed with the talent of applying liquid lipstick with as much ease? We get you! This may come as a surprise but investing in fancy cosmetics is not going to get that perfect pout but applying the right way will. We know all the struggles you face, therefore here are some do’s and don’ts for anyone who wears liquid matte lipstick. Love wearing matte lipsticks? We love it too! But does it leave you with dry lips? That’s because you keep applying lipstick on dry lips. Exfoliating your lips takes only a minute and it gives you smooth and soft lips instantly. One of the first rules of wearing liquid lipstick is applying a lip balm underneath. A coat of the Lakme Lip Love Chapstick will ensure your lipstick glides with ease and enhances its colour. The second rule to wearing any type of lipstick is by lining your lips to create the perfect outline. This will keep your lipstick in place and protect it from smudging. Instead of applying one thick layer and finish it off in one swipe, go for thin even layers. Start by applying it in the centre of your upper lip and work towards the edges, repeat the same on the lower lip. If you need a second layer, wait for the first one to dry. Here’s a liquid lipstick hack makeup bloggers and artists don’t tell you. Apply a thin layer of foundation on your lips to get an even base. Never wear a lip liner after you’ve applied the lipstick, this defies the whole purpose of wearing a lip liner. Your lips are one of the gentlest parts of your body. 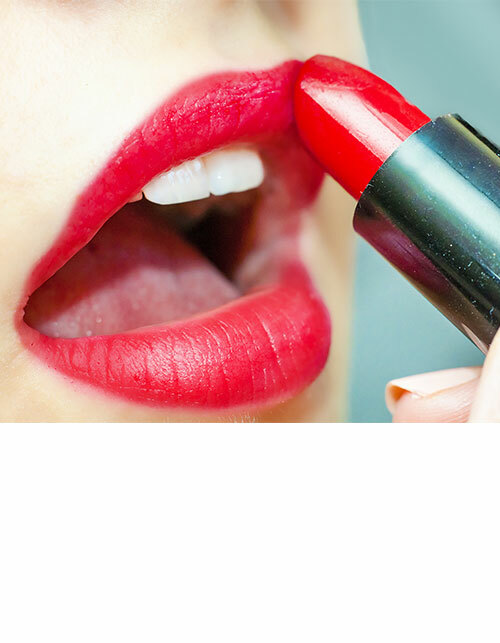 While wearing lipstick in the correct way is important, how you remove it is equally essential. Use a good oil based makeup remover to get rid of the colour in 1-2 swipes instead of rubbing it off.